To reread and rethink Rich’s prose as a complete oeuvre is to encounter a major public intellectual—responsible, self-questioning, and morally passionate. For those of us who came of age during feminism’s fabled second wave in the seventies, texts like “When We Dead Awaken” and “Compulsory Heterosexuality and Lesbian Existence” were key proclamations of ideas that we desperately needed to guide us on our way. Equally important to us was the powerful blend of research, theory, and self-reflection that she produced in her landmark study Of Woman Born: Motherhood as Experience and Institution. Later, as we matured into the nineties and the twenty-first century, Rich’s analyses of poetry—her own art and the art of others—as in What Is Found There, helped us, especially those of us who were poets and devoted readers of poetry, to sort through a canon that needed reexamination. And throughout her career, the political keenness and candor that energized such writings as “Why I Refused the National Medal for the Arts” grounded us in a dissent that was both firm and formidable. What is perhaps most compelling about Rich’s prose, however, isn’t just its grounding in dissent but its origin in disclosure. Although she herself often claimed that she disliked the “personal” or “confessional,” considering them “therapeutic” genres that evaded edgier social contexts, her prose writings, even more than her verse, mine a richly autobiographical vein. By the time one has read through some of her strongest essays, one comes to know her ambitious, sometimes tyrannical Jewish father, Arnold Rich, and her genteel Gentile Southern mother, Helen Rich, as if they were figures in Proust. The daughter here is nothing but honest, and her personal interpolations significantly illuminate her political interventions. Neither a confessional writer nor a memoirist—she was always private about the failure of her marriage and about the lives of her children—she nevertheless profiled Baltimore (in the forties) and Cambridge (in the fifties) in such precise detail that we feel present at a kind of documentary. Even Of Woman Born: Motherhood as Experience and Institution, begun as a research project, offers comparable portraits of what was and how it changed. At the same time, though, it was and is a groundbreaking feminist study that brilliantly exemplifies the innovative scholarship energized by what has come to be called the second wave of the women’s movement. That Rich, never a professional academic or graduate student, was such a leader in this field, working with rigorous lucidity, makes me wish I could leap into a time machine, go back into the past, and remind dissenters—for instance Midge Dector, “the anti-feminist woman” of one of Rich’s essays—how much thought from how many serious thinkers inspired marches, meetings, and manifestos. In fact, it was the serious and dedicated thought of seventies feminism that not only transformed Rich from a Yeatsian acolyte to a Rukeyser disciple but also motivated her own “will to change” from a writer of intelligent, casual reviews to an “activist thinker.” In her eloquent “Arts of the Possible,” she recounts that metamorphic time. “The women’s liberation movement embodied for a while the kind of creative space a liberatory political movement can make possible: ‘a visionary relation to reality.’ Why this happens has something to do with the sheer power of a collective imagining of change and a sense of collective hope.” Also, of course, it has something—maybe everything—to do with the ways in which liberatory political movements must inevitably find poets and prophets who can articulate their collective hopes. 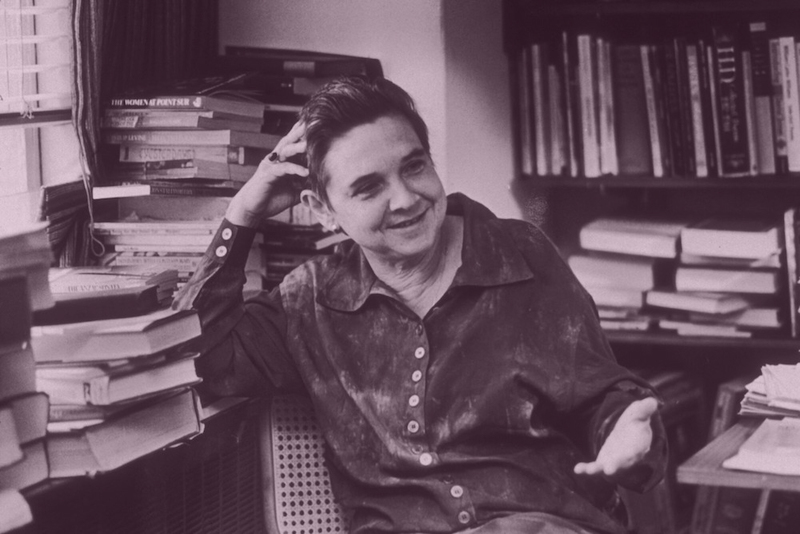 Such a spokesperson was Adrienne Rich, as both her poems and her prose writings reveal. “Dangerous influences.” Beneath a veneer of decorum, the stubborn poet had begun to stir. But given her specialized upbringing, she had to rebel on several fronts. In secret, she confides in a letter to a longtime friend, she had as a teenager “spent hours writing imitations of cosmetic advertising and illustrating them copiously,” and “mercifully,” she recalls in print, she “discovered Modern Screen, Photoplay, Jack Benny, ‘Your Hit Parade,’ Frank Sinatra,” and other icons of popular culture. Worse still, though from her father’s perspective she was “satisfyingly precocious,” she had “early been given to tics and tantrums.” Even in the years when Auden and Jarrell were captivated by what they saw as her dutiful command of versification (“I was exceptionally well grounded in formal technique,” she herself admits, “and I loved the craft”), she was “groping for … something larger.” Her first act of overt rebellion against a father whom she once defined as “Papa Bronte” was to marry “a divorced graduate student” from an observant Eastern European Jewish family, a background that Arnold Rich, a secular (and atheistic) Jew disliked. Her parents refused to attend the wedding, which was held at Hillel House in Cambridge. After that, as she recalled, she began to write what her father defined as “ ‘modern,’ ‘obscure,’ ‘pessimistic’ poetry,” and eventually, she had “the final temerity to get pregnant.” Another young woman poet who visited Cambridge at this time discerned what Auden, Jarrell, and Arnold Rich had failed to grasp. Sylvia Plath was fiercely rivalrous toward Rich but describes her, with some respect, as “all vibrant short black hair, great sparkling black eyes and a tulip-red umbrella; honest, pink, forthright and even opinionated.” But at the same time, curiously enough, in rebelling against her father’s plans for her intellectual career, Rich had entrapped herself in what Betty Friedan has called the “feminine mystique” of the fifties. She gave birth to three sons before she was thirty, and as Of Woman Born testifies, her experience of motherhood as a social and cultural institution was utterly life changing. “Motherhood radicalized me,” she declared, for both the experience and the institution had forced her to attend to the powerful gender distinctions that shape and sometimes shatter women’s worlds. “Anger and tenderness,” the phrase with which Rich titles the first chapter of that book, marked her career during the nearly two decades of her marriage, when she and her husband, Alfred Conrad, a Harvard professor of economics, were bringing up their boys, both in Cambridge and New York. And for much of this time, Rich was relatively silent as a poet: there’s a gap of nearly a decade between her publication of The Diamond Cutters and her next groundbreaking, protofeminist book, Snapshots of a Daughter-in-Law (1963), though for the rest of her career, she published nearly a collection a year. 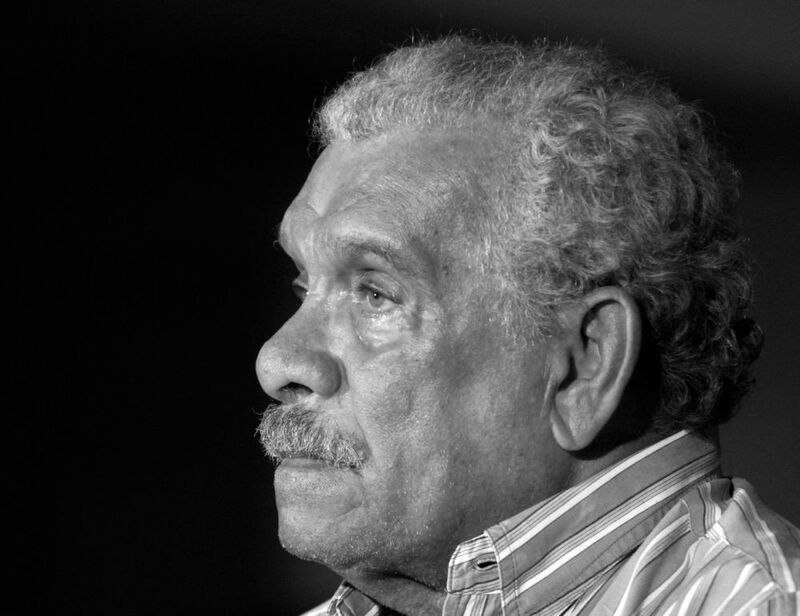 In 1976, Rich began her lifelong partnership with the Jamaican-born novelist and poet Michelle Cliff, and her major essay “Compulsory Heterosexuality and Lesbian Existence” appeared in 1980. Then, in “Split at the Root” (1982) and the long poem “Sources” (1982), she began to reclaim her Jewish heritage. In 1983, she went to Nicaragua to try to understand the Sandinistas and, further, “to get a sense of what art might mean in a society committed to values other than profit and consumerism.” By the time she published her ambitious, Whitmanesque “Atlas of the Difficult World” (1991), she was “bent on fathoming what it means to love my country,” affirming that a “patriot is one who wrestles for the soul of her country / as she wrestles for her own being.” One amazing movement after another had brought her to the center of public discourse, where she wrote of blood, bread, and poetry in an effort to critique racism, misogyny, anti-Semitism, heterosexism, consumerism, and class privilege with anger and tenderness. These wellsprings of art, along with the craft to shape them into powerful language, were arguably the treasures that prevailed after she had investigated the wreck of her marriage and the culture that had deformed it. Interestingly, some of the strongest prose from this period is precisely the kind of “re-visionary” literary criticism that Rich’s manifesto inspired from other feminist thinkers in the seventies, notably her brilliant essays on Jane Eyre and Emily Dickinson, which many of us still remember reading with wonder when they first came out. Even literary essays—a review of Elizabeth Bishop’s Collected Poems, an introduction to Muriel Rukeyser’s writings, and excerpts from What Is Found There—remind us that for Rich, as for so many feminists of her generation and later ones (including my own), the personal, the poetical, and the political were one. At the same time, her extraordinary critical expertise and wide-ranging aesthetic knowledge should also remind us that, as she understatedly puts it, she was “exceptionally well grounded in formal technique” and truly loved her craft. Sandra M. Gilbert is the editor of Adrienne Rich’s Essential Essays. A resident of Berkeley, California, she has published eight collections of poetry and has a new volume, Judgment Day, forthcoming. Among her prose books are Wrongful Death, Death’s Door, Rereading Women, and The Culinary Imagination. With Susan Gubar, she has coauthored The Madwoman in the Attic, No Man’s Land (three volumes), and a number of other books. The two are currently at work on a study tentatively titled Still Mad: Seventies Feminism Today. Excerpted from Essential Essays: Culture, Politics, and the Art of Poetry, by Adrienne Rich, edited and with an introduction by Sandra M. Gilbert. Copyright © 2018 by the Adrienne Rich Literary Trust. Introduction copyright © 2018 by Sandra M. Gilbert. Used with permission of the publisher, W. W. Norton & Company, Inc. All rights reserved.